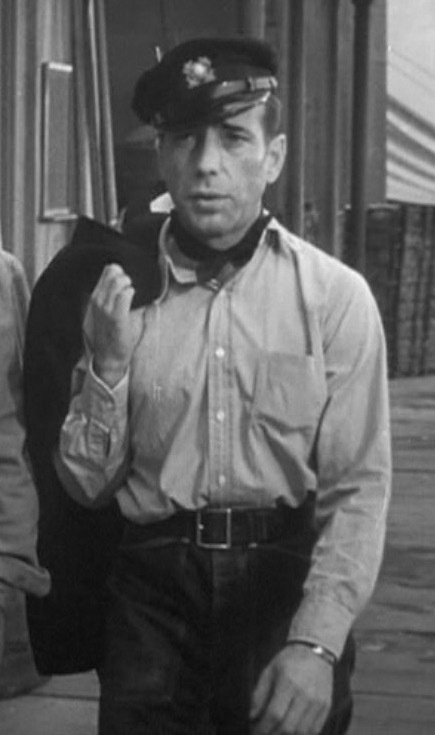 Today in 1957, the world lost one of the most iconic actors of the classic Hollywood era with the death of Humphrey Bogart at the age of 57. In the last days of his life, Bogie was surrounded by friends and loved ones like Katharine Hepburn, Spencer Tracy, Frank Sinatra, and his loving wife, Lauren Bacall. 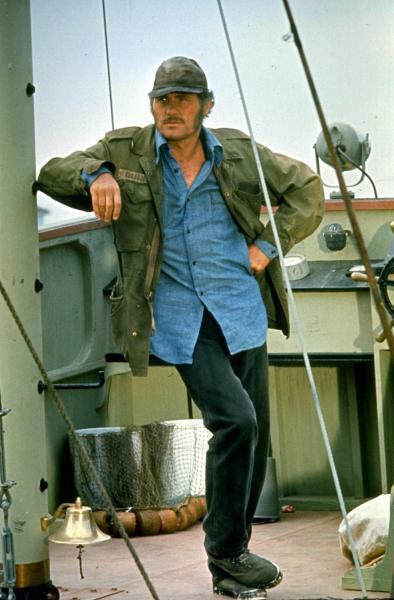 Robert Shaw was born 90 years ago today, August 9, 1927. To celebrate the birth of this iconic actor and writer, BAMF Style presents another contributor post submitted by BAMF Style reader “W.T. Hatch”. Enjoy! Y’all know me. Know how I earn a livin’. I’ll catch this bird for you, but it ain’t gonna be easy. In 1975, director Steven Spielberg scared the bejesus out of America with the summer blockbuster hit Jaws. Based upon author Peter Benchley’s novel of the same name, Jaws is the harrowing tale of a 25′ man-eating shark which terrorizes the small beach community of Amity Island. Technical problems forced Spielberg to largely abandon the mechanical shark, dubbed “Bruce” after his attorney, instead using mood, music, and a set of yellow barrels to suggest the beast’s on-screen presence. One viewing of the film is enough to make even the bravest soul think twice before taking a swim in the ocean.